You’ve tried and tried, written and rewritten, erased, typed out and erased some more, but your medical residency Personal Statement still doesn’t feel right. You know the Personal Statement is a very important part of your application but you also know your English skills may not be up to the task or you worry you aren’t writing it correctly. You could be tweaking this all-important document for months before finally deciding, “I need help.” But finding professional help can prove to be a hassle in itself. So many companies out there want to take advantage of IMGs who are just trying to improve their chances without being ripped off. You need to be careful when seeking professional Personal Statement help and not to be taken in by the wrong company. Is the company offering a guarantee, or 100% Match rate? I cannot stress this enough, there is no magical service in existence that can guarantee you a residency position by using their product. 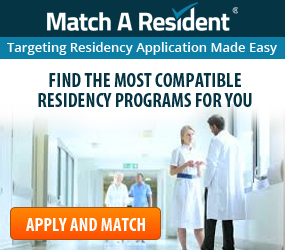 There are far too many factors in the medical residency application and your personal credentials which need to be in order. While a well crafted Personal Statement will improve your chances, it won’t get you in if your USMLE scores are low, you lack US clinical experience, and so on. If you see a guarantee, flee! Does the company have editors and writers trained to focus solely on medical residency Personal Statements? The best services have writers whose entire job is centered around medical residency Personal Statements. There are companies out there that have their editors working on Personal Statements, CVs, Letters of Recommendation and a bunch of other documents at the same time. You know what they say about people who multitask, “They can do a lot of things at once…poorly.” When a person is spread out over a lot of different tasks, they may not be as careful with your Personal Statement as you want them to be. You also want editors who are trained with knowledge specific to Personal Statements. Any old friend with good grammar skills can edit your document. You want editors who know how to make them specialty specific with the right vocabulary to ensure program directors know you know what you are talking about. Does the company value quantity over quality? In this world of fast food and high speed internet connection, I know it’s easy to get impatient with a service that doesn’t get your document back to you in a matter of hours. What you need to accept is that any rush job is just plain not going to be as good as the work of editors who are able to really take time and look at your statement. Now, I understand you may be in a rush or close to the application start date, but unless it’s an absolutely emergency, let your editors do their jobs right! Is the company open and transparent about who they are? Companies who are not totally open about their identities most definitely have something to hide. You can check who the website is registered to on GoDaddy…Who is at: https://who.godaddy.com/. If the registration is private, I would be wary. Not only that, but do they have an address and clear contact information listed on their website? If the answer is no, then that means this company doesn’t want to be found or contacted…especially after they rip you off! 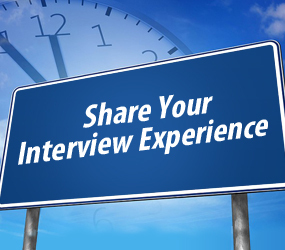 How does the company develop your Personal Statement? This may seem like common sense, but I want to be absolutely clear, NO TEMPLATES. Any company that uses a template is off limits. If you know a template was used, you better believe program directors will know too. You want your Personal Statement to be developed in a way that comes off as natural and has a good flow to the language. Templates are stilted and stiff, not exactly how you want to present yourself to program directors. How old is the company? Now, older doesn’t always mean better, but like a fine wine, you want a company that has aged well and stood the test of time. A lot of companies pop up overnight and disappear just as quickly. Usually these companies are in it to make a quick buck and give you sub-par service. Older companies are still around because people come back to them over and over, refer their friends, and provide a good quality service. Just remember, new is not the same as improved. How expensive are the services? With this type of service you get what you pay for…but you don’t have to break the bank either. 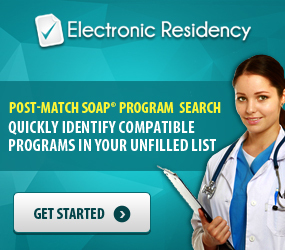 You have enough to pay for during the medical residency application process but cheap services usually give you a cheap product. Depending on the type of service, whether it’s simply editing or a full scale development, look for companies that cost anywhere from $200 to $500. Cheaper than that and you’re taking a risk, any more and you are probably overpaying. 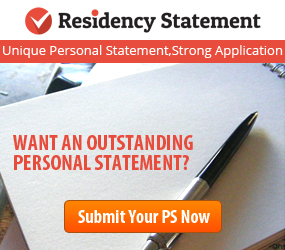 With all of these factors in mind, you should be able to find the right Personal Statement help. Just follow the clues until you find a company that fulfills all of these criteria.